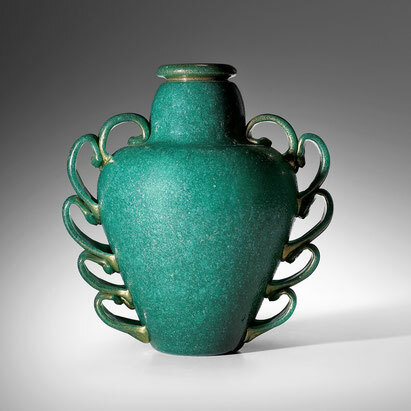 Born in Murano in 1892, Napoleone Martinuzzi was the son of an accomplished glass blower. He attended the Belle Arti in Venice and was part of the Ca’ Pezzaro Secessionist group where, in 1908, he began to exhibit his sculptures. Over the next decade Martinuzzi exhibited widely in Europe, eventually becoming one of Italy’s most influential Novecento sculptors. 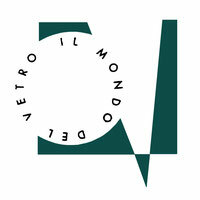 In 1921 he became Director of the Murano Museum and in 1925, the Artistic Director at Venini. Martinuzzi’s bold use of experimental, semi-opaque glass (Pulegoso, Lattimo, Calcedonio) brought a new sculptural materialism to Murano. His use of large-scale forms from classical antiquity executed in vibrant colors set a new standard for Murano glass design. He died in Venice in 1977. The simple facts of Martinuzzi’s life fail to capture the lasting power of his work—his name alone evokes images of remote elegance and archetypal glory. A lasting tribute to this haute-grandeur can still be seen at the Vittoriale - poet Gabriele D’Annunzio’s lavish home and mausoleum where many of Martinuzzi’s formidable sculptures and monumental glass vessels still reside.